I had a great time speaking at SHIFT 2017. In particular, I enjoyed speaking about the importance of storage as it relates to strategy and overall enterprise performance. I wanted to highlight some real-world examples of how business and industries have used Intel® Optane™ technology to deliver new levels of performance. Intel Optane technology is all about driving bigger memory and faster storage with consistently high performance. It’s a revolutionary and entirely new memory media Intel invented. Nothing else like Intel Optane technology exists today, and there hasn’t been a new storage and memory technology in over 25 years. It is fast, persistent, and cost-effective. This is important because it ultimately provides even faster and more consistent access to data, which enables business owners to turn data into valuable insights to make better decisions. These are only a few real-world examples of how Intel has worked with industry partners and customers to solve real problems (and get real results) using this technology. Alibaba, one of our customers, is the largest e-commerce business in China and a rapidly growing cloud service provider. Each year Alibaba hosts Singles’ Day, a promotional event similar to Black Friday in the U.S., except even larger. The premise is that single consumers buy themselves a present or presents, and in 2016 Singles’ Day generated $17.8 billion in just 24 hours. Enabling an experience at that scale for users on the e-commerce site had a lot to do with storage innovation we’ve built into our platforms. 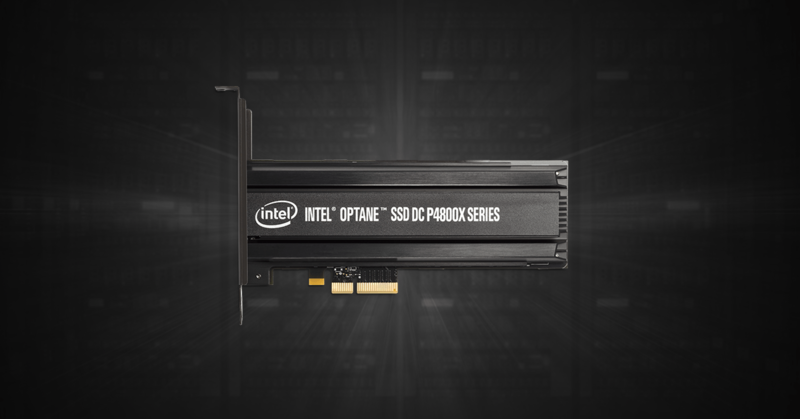 Alibaba was able to use Intel Optane technology to improve the performance of Polar DB, its homegrown transactional database, by a factor of six. There’s a direct correlation between transaction time and sales. If you keep an online shopper waiting too long, they get bored and move on. By working closely with customers like Alibaba to improve databases, Intel is helping improve the shopping experience. Alibaba offers a similar transactional database service to its customers. As it merges the new changes and Intel Optane SSDs with these commercial offerings, the company will be able to grow even more revenue. Alibaba is not the only cloud service provider working closely with Intel and using Intel Optane SSD products to grow revenue by providing differentiated services. Other large cloud service providers have decided to offer infrastructure solutions that can bring workloads to cloud-based infrastructure. This architecture is outfitted with Intel SSD technology designed with transactional workloads in mind. Another example, underway right now in New York, is the work we are doing with the Securities Technology Analysis Center, or STAC, to help accelerate the testing and introduction of new trading algorithms. These algorithms can lower risk and time to decision, with more storage-based analysis feeding large memory pools at greater bandwidth and speed. Intel Optane technology helps in these scenarios. STAC found that on its memory bandwidth test, seven of the 11 critical tests posted a world record with Intel Optane technology as part of the solution on a four-socket Intel Xeon Scalable platform. Ready access to the most critical data enables organizations to extract actionable information from data. This translates to faster decisions and ultimately produces a trading and profits advantage. Let’s examine innovation in healthcare and examples of how companies are enabling data to become a competitive advantage and impact humankind. The Broad Institute’s mission is to propel the understanding and treatment of human disease, and it has partnered with Intel to help researchers find out more about some of Earth’s most challenging diseases. Also in the field of healthcare, the University of Pisa is using Intel Optane technology to change how it architects its storage, which is having a profound effect on advancing MRI research. A researcher at the University of Pisa came up with an idea of undersampling in order to get less data from the MRI machine. However, this is a new approach and only effective if you have a good deal of memory. Intel Optane technology allowed the university to deploy that memory. This result was astounding, taking a typical MRI from 40 minutes down to two minutes. This is not only beneficial for the researchers, but it also makes MRIs more bearable for patients, especially those who fear enclosed spaces. Embracing new storage technologies and innovation can bring new efficiencies across your business, change the way you do business, and revolutionize the experiences you offer to your customers. Improvements in storage can lead to practical, measurable real-world outcomes. Visit the Intel Optane technology page for more information. 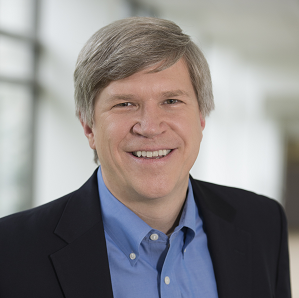 Follow me, @robcrooke, and @IntelStorage on Twitter for the latest updates. Previous article:Healthcare Blockchain: Does Your Chain Have any Weak Links?